Every Saturday, we open our doors to talented young people. 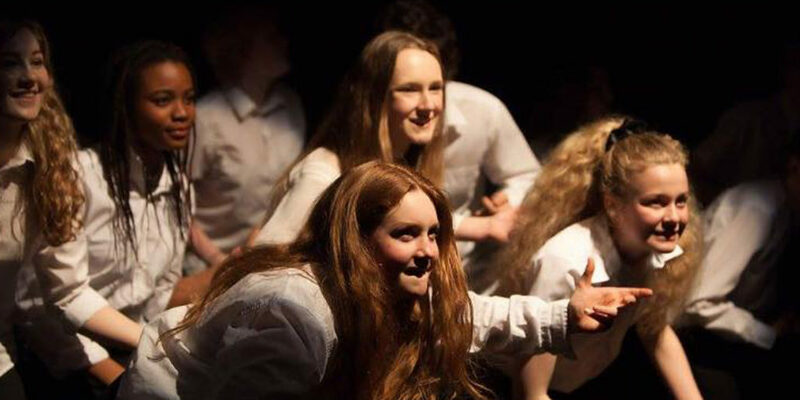 They come to learn acting and directing skills, meet new friends and gain confidence in a professional theatre. Our weekly workshops are led by theatre-makers and drama students who support participants to get creative in small groups and then come together to share ideas. At the end of each term, we’ll take to the stage to showcase their new skills. No acting experience necessary, just enthusiasm, curiosity and commitment! We’re proud to be part of Connections, the National Theatre’s annual festival of new plays for youth theatre. The festival gives young people the chance to experience professional theatre making from set design, costume making, lighting and stage management. Autumn 2018 spaces available HERE.